This business guide is intended to be a primer for small and mid-sized manufacturing job shops characterized with a high mix of products of relatively low order quantities. 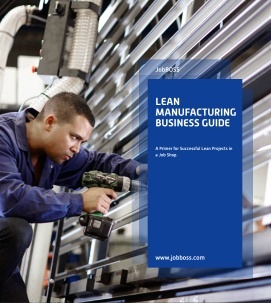 It is intended to highlight specific lean manufacturing concepts that are applicable to a dynamically changing shop characterized by a wide mix of parts that may change from one week to the next. By implementing the RIGHT lean techniques and leveraging systems to support lean manufacturing, you should be able to achieve significant cost reductions while improving your overall business.